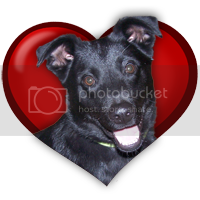 Created just for us here at For the Love of Dogs! Bold and delightful, this amazing pillow is colorful, graphic and really makes a statement! Celebrate your love of dogs with this gorgeous wool hooked pillow that features a Yellow Labrador dog in the truck rear guarding the Christmas tree, gorgeous background deep red. Measuring 14" x 18", this generously sized pillow is handcrafted of 100% wool and backed in velveteen. Removable cover, velvet backing.